Getting your Pennsylvania drivers permit is such an exciting time and we think that you should have fun with all of it, even your requirements. This is why we have designed and fun and affordable driver education course that's all done online. You can work on this course from any computer that is connected to the internet, so you can do it all from the comfort of your own home if you want. This Pennsylvania Drivers Education course is offered in association with Blue Bell Driving School, so it is approved statewide in Pennsylvania. This approval means that you can take your PA drivers permit course upon successful completion and be well on your way to getting your Pennsylvania drivers license! You can sign up for this Pennsylvania drivers license prep course in just a few minutes, so you can actually start working on it that same day. You will get to choose a unique username for your account and that way you can log in from any computer and always be able to access your course. This PA drivers permit course is divided into eight units and each one focuses on driver-related issues that will affect you every day on the roads. Each unit has interactive videos and animations in it to break up the reading, so you will never get bored. There is a final for this PA drivers permit course, but it consists only of questions that are pulled right from the course material, so you will be more than prepared for it. Even better, you get an unlimited amount of attempts, so you are guaranteed to pass it! 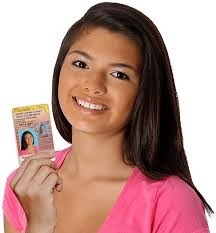 The good news is that your certificate of completion will be processed as soon as you finish the PA Drivers Ed course, so you don't have to wait long at all to apply for your learner's permit. This also means that you will be on the road to your Pennsylvania drivers license much sooner than you think. We mail it right to your doorstep too and you don't have to pay for the shipping; it's totally free!